Popular statin drugs may raise pill-takers' risks for cataracts, a new study published Sept. 19 in JAMA Ophthalmology shows. Statins are taken by people who have high cholesterol, which is a substance created by the body and foods we eat. Overtime, these substances may clog arteries, leading to heart attacks or strokes. About 32 million Americans take a statin, Harvard Medical School reported in 2011, to reduce their risk for heart woes. Examples of statins include Lipitor, Crestor and Zocor. The drugs carry side effects, the Mayo Clinic notes, which include muscle aches, diarrhea, constipation. They have also been linked to more serious side effects, like liver damage, increased blood sugar and Type 2 diabetes risk, and neurological side effects like memory loss. Now, researchers are finding cataracts may also occur. Cataracts refer to the clouding of the lens, which is the clear part of the eye that helps focus light and images, and they greatly affect vision. Cataracts are commonly caused by aging, and are so common that more than half of Americans have a cataract or undergo surgery to fix them by the time they are 80 years old. Since cataracts can greatly impact an older individual's quality of the life, the researchers write, it's a "public health priority" to understand what risk factors can be modified to stave off these eye problems. Researchers at the San Antonio Military Medical Center in Texas looked at data collected from patients of a military health care system, where they were able to match up nearly 7,000 pairs of statin-takers with people who weren't using the medications. They found people taking statins were about 27 percent more likely to have cataracts than those not taking them, and the findings held up when researchers factored out other risks. Previous studies on statins and cataracts have found both raised and reduced risks, the researchers said. "In conclusion, this study found statin use to be associated with an increased risk for cataract," wrote the researchers, led by Dr. Jessica Leuschen of the San Antonio Military Medical Center. "Efforts to curtail preventable causes of cataracts entail further studies." While this study found an increased risk, it was only observational in its analysis, meaning it does not prove cause and effect. A blog on Britain's National Health Services' website reviewing the study suggests concerned individuals should speak with their doctors to weigh the potential benefits of the drugs against these possible side effects. "While a direct link between statins and cataracts is not yet proven, what is important to remember is that statins are a highly effective treatment to lower cholesterol and help reduce risk of cardiovascular disease," according to the NHS. 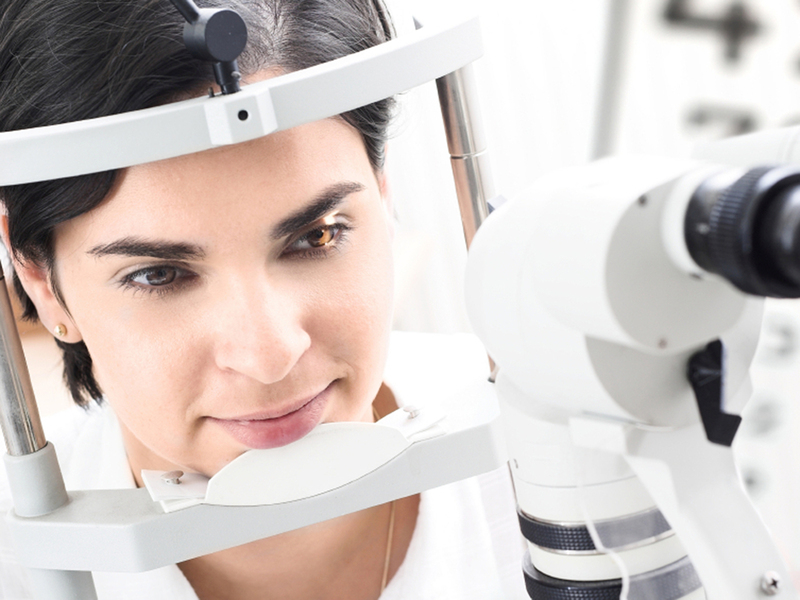 "Cataracts are usually treatable and are not fatal. The same may not be the case for a heart attack or stroke. Brené Brown: Vulnerability is the "birthplace of trust, love, belonging, courage"
The best-selling author hopes to spread her message in her new Netflix special, "The Call to Courage"